While it may not be the most technologically advanced telly on the market, the latest sub-£500 Technika TV deal from Tesco is probably the best deal out there right now if you are in the market for a large 42-inch skinny LCD TV to watch Wimbledon on later this month. "Tesco reduces its Technika LCD42-910 by £200, making it the cheapest slim television on the market at an incredible £499.97," crows the release just in from the supermarket we all love to hate (but still secretly shop at). Features-wise, you are looking at a full 1080p, 100Hz and an ultra skinny 6cm deep TV with four HDMI socket. Tesco's release continues: "For tennis fans keen to see every line call this Wimbledon, this latest Technika flatscreen TV packs a visual punch with its LCD technology, so even fast moving images are clearly reproduced. 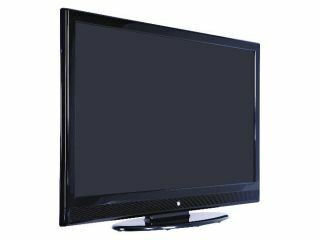 The television also includes a host of features, such as 100Hz and 1080p technology, a contrast ratio of 1,300:1 and a response time of just 8m/s." "With this latest Technika LCD42-910 model, we are giving our customers the opportunity to own an innovative and stylish television at a great price," says Simon Peck, Marketing Manager at Tesco. "We think cutting-edge technology should be available to as many people as possible, and we're always looking for ways to bring new innovations at low price points to shoppers through our Technika range. We are delighted to see these models proving so popular with our customers." Like we say, while Tesco's Technika budget range of electrical products and TVs are hardly technologically groundbreaking, they do offer pretty good value for money.